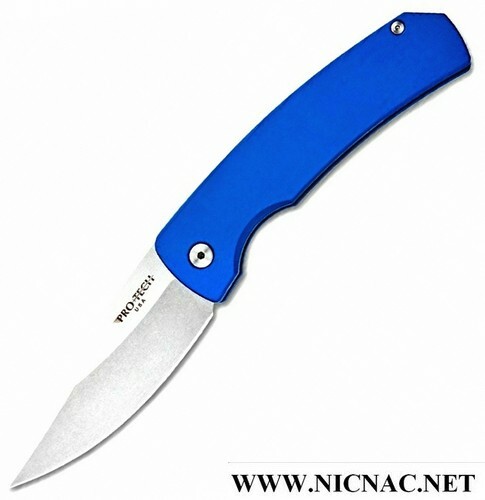 The Protech Magic 2 M2601 BLUE has a blue aluminum with hidden release and a 3.75" stonewash 154CM spearpoint flatgrind blade. It's overall open length is 8.625". It's made for right hand carry, tip-up and comes with a pocket clip. Made for Every Day Carry and is MADE IN THE USA!